The road is close to our hearts and our mission includes everything that makes its safer. Sisas ensures the complete availability of solutions and products useful for meeting the requirements imposed by the Highway Code and we will support you wherever these needs cannot be overlooked. In this section you will find useful information and tips for all road users, to protect them from the hazards that, despite all efforts, are present under normal driving conditions. by offering products whose technology and quality meet all the needs of road construction sites. Sisas is able to offer customized products that meet the specific needs of its customers by providing technical departments capable of supporting them in the most critical situations dictated by temporary conditions that alter the route traffic normally flows. The current problems of both urban and extra-urban mobility require constant precise monitoring of traffic in order to understand and evaluate situations that can change its flow. 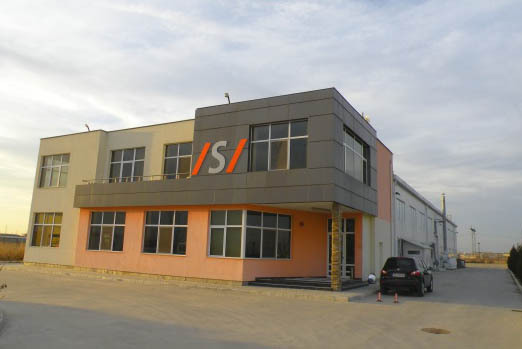 The use of advanced technologies, strict selection of materials, and an obsessive attention to the design phase are the foundation of the company’s design philosophy and allow Sisas, to respond to every need of the highway signage sector. To achieve its goals, Sisas offers both stand-alone solutions and complex ITS systems that, due to a design and construction philosophy based on a modular architecture, is completely scalable as our customers’ needs increase. SISAS BG was founded in 2006 in Plovidv,Bulgaria.The company is a part of Sisas , Italian company with the largest market share in the field of traffic signalization in Italy since 1980. In the last few years we started business with companies in both Eastern European and the Bulgarian markets. Over the years we have established partnerships with leading companies in the field of traffic signalization and safety from Romania,Turkey,Poland, Hungary, Russia, Serbia,Macedonia, Croatia, Latvia, Lithuania, Lebanon, Czech Republic, BiH. All products comply with quality standards and we offer highly competitive prices. In the wide range of products we combine high quality and competitive prices.